Wondering what you can do now to prepare for baby? 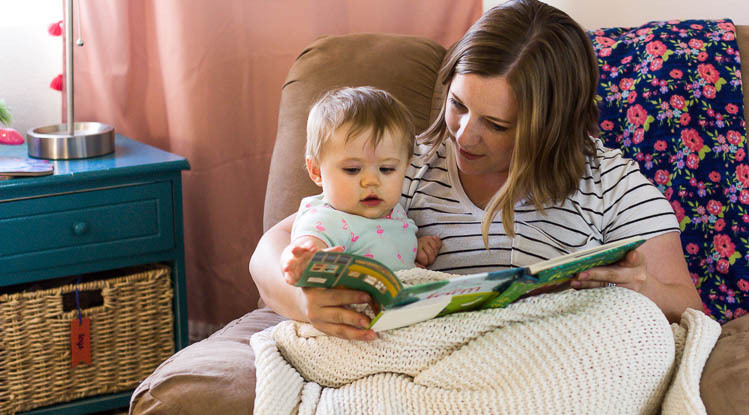 If you have a baby on the way, now’s the perfect time to get your house in order and establish some time-saving habits and routines. 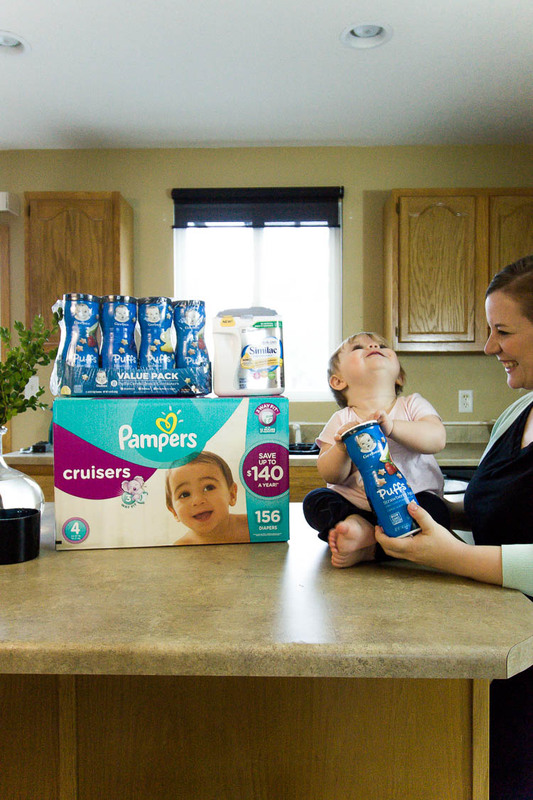 Today I’m partnering with Sam’s Club to share my best tips for getting ready for baby! I cannot believe I’m typing this, but Chloe is now one! A year ago, I was scrambling to unpack the moving boxes and get our house in order before she was born. 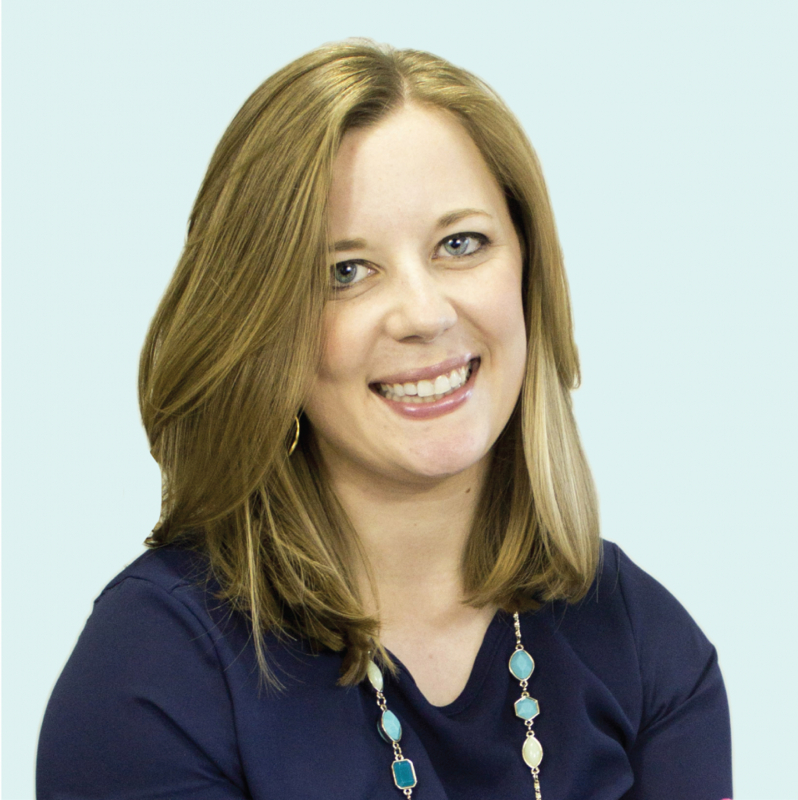 Since becoming a mom last year, I’ve received so many requests for advice about things to do and habits to form to prepare for baby’s arrival. I’m no expert, but I do have plenty of ideas that will make the adjustment to having a newborn in the house a little smoother. 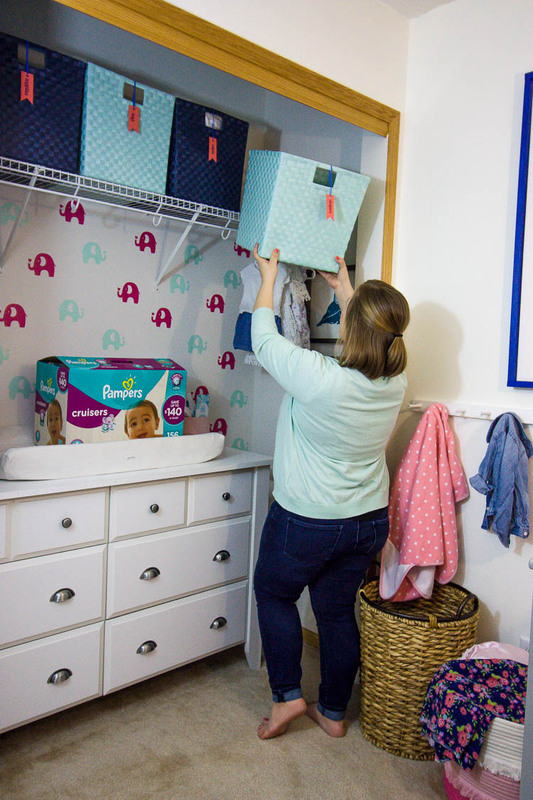 As I think back to what I did to get ready for a baby in the house, there are several things that really saved us time and got us organized. I’ve yet to compile all of my tips in one place, so today I’m spilling all of my best baby prep advice in one giant blog post! Would you take a second to share this with your expecting friends? Go to Sam’s Club and stock up on diapers and wipes. The new Pampers Swaddlers are two times softer for the softest comfort and best protection for your baby. Not only are they super comfortable for your baby, but you’ll also save money by buying in bulk, so it’s a win-win! Everyone knows that babies need a lot of diapers, but being a new mom really opens your eyes to just how many diapers a tiny baby needs. 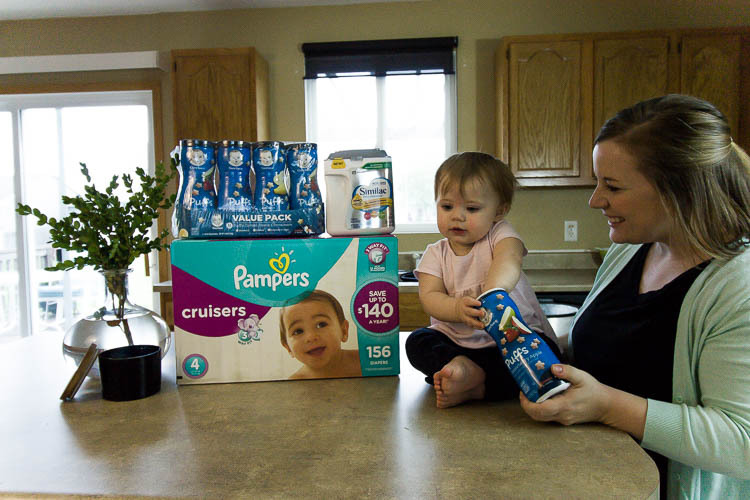 We became Sam’s Club members shortly before Chloe was born because of the convenience of being able to buy baby basics in bulk at affordable prices. It was a no-brainer to renew our annual membership last week! Now that Chloe is moving all over the place, she’s wearing Pampers Cruisers designed specifically for active babies. They offer up to 12 hours of protection with Extra Absorb Channels that distribute wetness evenly. 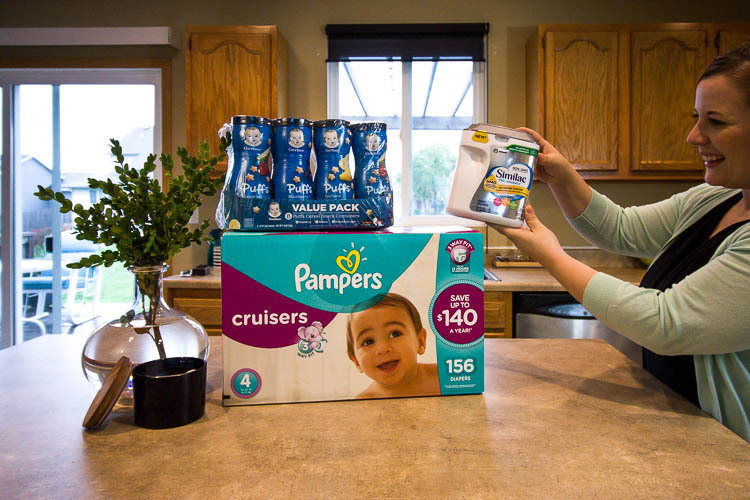 Buying a big box of Pampers Cruisers means I have plenty to stock our diaper stations, replenish our supply at daycare and still have some leftover to stash in the overflow storage bins in the nursery closet. Declutter your kitchen and designate a drawer or shelf for baby items. One of the larger drawers in our kitchen island serves this purpose in our house. I originally stocked it full of breastmilk storage bags, steamer sanitizing bags, bottles, pacifiers and other breastfeeding supplies. As we transitioned to solid foods and formula, I packed away a lot of the breastfeeding supplies to make space for storing baby foods. 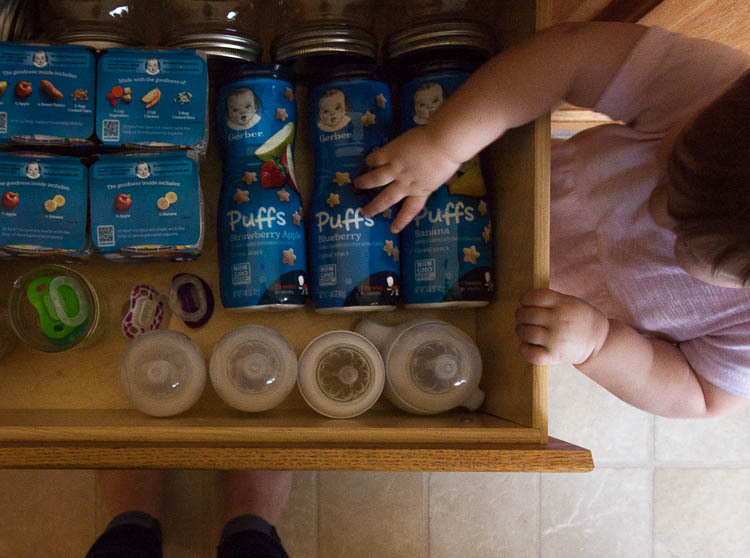 These days, our drawer is always loaded up with Chloe’s favorite snack – Gerber® Puffs (I buy the big Gerber Puffs Variety Pack at Sam’s Club). Gerber® Puffs melt in your baby’s mouth and are perfectly sized for their tiny fingers to pick up. They are made of carefully-selected ingredients and yummy flavors that Chloe devours. 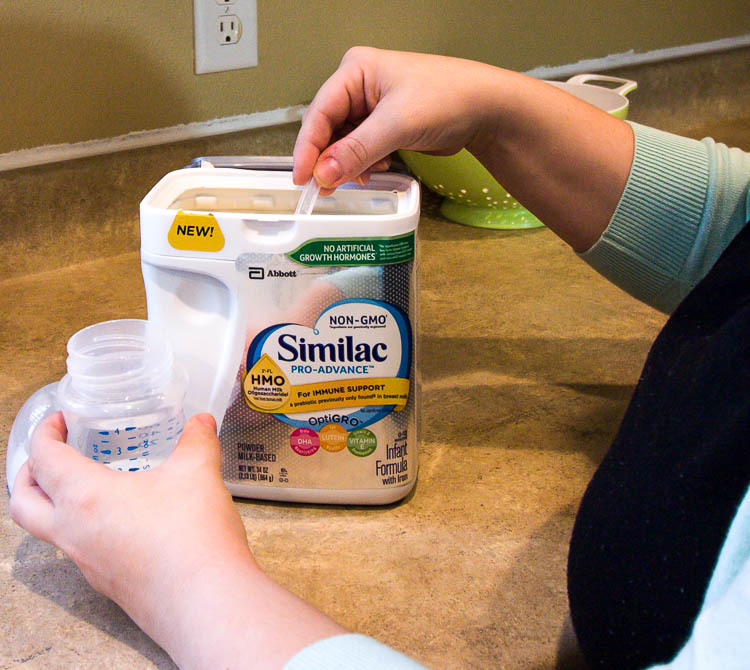 We also keep the house stocked with Similac Pro-Advance™ Infant Formula. We keep the formula and a few clean bottles next to the sink so it’s easy to mix up bottles in a hurry. I also try to keep a spare container stashed away in an upper cupboard so we never risk running out. Similac Pro-Advance™ provides complete nutrition for baby’s first year, with added 2’-FL HMO prebiotic for immune support. Knowing this formula is packed with good nutrition gave me peace of mind as we’ve transitioned from mostly breastfeeding to mostly formula bottles. Having a well-stocked pantry and plenty of toilet paper for a couple of months is a great idea! I went to Sam’s Club and loaded up on toilet paper, paper towels and snacks like granola bars, Pop-Tarts and cereal before Chloe was born. Those are things we use often and aren’t perishable, so it makes total sense to stock up! Also, consider spending a Saturday making some easy freezer meals so your freezer is full of things to eat in those first weeks with a baby at home. I didn’t get a chance to make any freezer meals because we moved into our house a couple of weeks before Chloe was born, but it would have been really nice to have them on hand. Search Pinterest for tons of freezer meal ideas and shopping lists! You’ve probably accumulated a nice supply of baby clothes during your pregnancy. 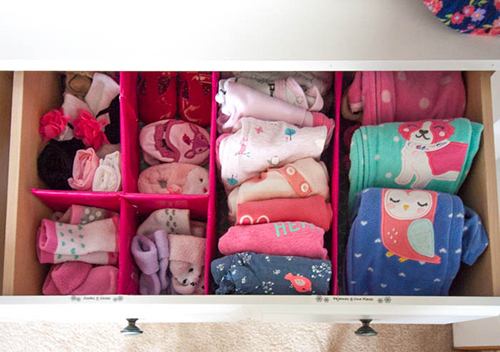 It’s well worth it to take the time to sort all of those tiny clothes by size, place the newborn and 0-3 month clothes in a dresser, and store the rest neatly in a tote with labels. You’ll be glad you know where the next size is since babies grow so quickly! I designated a spare dresser drawer in the nursery for holding too-big clothing that Chloe would grow into next. It is so handy to be able to pull things out of there as she grows! 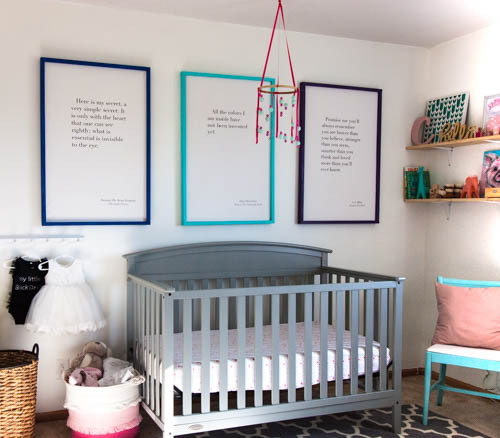 Create a couple of changing stations in your house. Gathering all of the diapering supplies in one place will make those frequent diaper changes a breeze! The changing table in the nursery is primarily used overnight. To avoid climbing up and down the stairs for every diaper change during the day, I also located a caddy of diapers in our living room which is super handy. When you have a newborn fast asleep on your chest, the last thing you want to do is move. So do yourself a favor and plan ahead by setting up little stations with all of the necessities. We stocked the end table by the couch, the table by the nursery rocker and my nightstand with all of the essentials. Each spot had a phone charger along with lip balm, tissues, lotion, pacifiers, burp cloths and a book. And if I didn’t have a puppy running around the house, I would totally stock each location with lots of snacks as well. Put night lights in your bedroom, the nursery and the hallways so you can navigate the house at all hours of the night. You definitely don’t want to have to flip on a bright overhead light with a sleeping baby in your arms! The previous owners of our house installed nice night outlets in the hallways that have built-in lights. We supplemented those with plug-in night lights in the bedrooms. Clean your car, remove any unnecessary items and install a car seat. A clean backseat and trunk mean you can easily toss in hospital bags in a hurry and you will have room for your baby plus all of your bags, flowers and gifts when you leave the hospital. Take a few minutes to assemble a small kit of baby essentials that you can keep stashed away in your trunk. A few spare diapers, wipes, extra baby clothes and an extra shirt for you will come in so handy one day down the road. Set up the crib and cover the mattress in two layers of sheets and mattress pads. Then when one layer gets dirty in the middle of the night, all you have to do is pull off that top layer and you have a clean crib ready to go. Even though Chloe didn’t sleep in her crib right away, it was still something nice to do ahead of time! Pick up a cute set of thank you notes and a roll of postage stamps so you are prepared to send thank you notes after you get home from the hospital. Having the supplies ready to go will make this task much easier! In those first weeks with a newborn in the house, you’ll likely find yourself sitting around a lot. Make a list of shows to binge and books to read so you have something to do instead of scrolling through your news feed for the hundredth time that day. When you are sleep deprived, it’s tough to remember all of the little details like the last time you took your medicine or fed your baby. Designate a small notebook for tracking all of your baby’s diaper changes and feedings along with your vitamins and medication. After being home with our baby for a few days, I ended up filling a small plastic container with my notebook and pen, all of my prescriptions, a pacifier and my lip balm. This made it easy to keep nearby at all times. 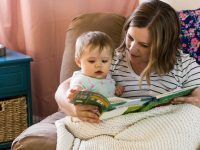 In addition to organizing the house and gathering all of the baby essentials, it’s also important to put some effort into establishing better routines and habits. Putting the work into these now will pay off when you are sleep deprived and have less free-time with a baby. Plus, it’s always a good idea to work on developing good routines that save time! If you are someone who lives day to day without any type of plan or routine, now is a great time to start. Learning how to create a basic daily routine is foundational to good time management. Being a great meal planner is helpful for anyone and is especially useful as a new mom. Plus, I feel like this skill will only become more important as the kids get older! Get strategic about running errands and combine them into as few trips as possible. Also look into time-saving options like curbside pickup, site-to-store ordering and delivery. Did you know Sam’s Club members can skip the checkout line and take advantage of club pick up and the scan and go app? You’ll definitely want to be prepared to take lots of photos of your newborn! Get in the habit of keeping your phone charged and clear as much off of it as you can so you have plenty of memory to store all of those photos. If you have a camera as well, get in the habit of loading photos onto your computer right away so you never run out of room on your memory card. Set up bill autopay so you don’t have to think about them or worry about missing a due date. If it’s necessary to write checks for some things, write the checks and address envelopes in advance so all you’ll only have to pull them out of a folder and mail them in (add reminders to your calendar for mailing things). Automate everything you possibly can. This is smart to do no matter what but is especially helpful to set up before you add a baby to the family. Speaking from my experience, I had zero brain power to think about those types of things for a while after having Chloe. 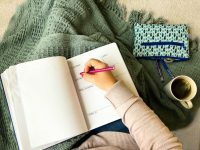 If you are self-employed or have a side business like a blog, you’ll probably find yourself wanting or needing to get a little work done as you ease back into things. I personally found it really helpful to have a list of 10-minute blogging tasks I could do whenever I found myself with a small pocket of time. This helped me get a few things done during naptimes or while nursing instead of mindlessly scrolling Facebook yet again. 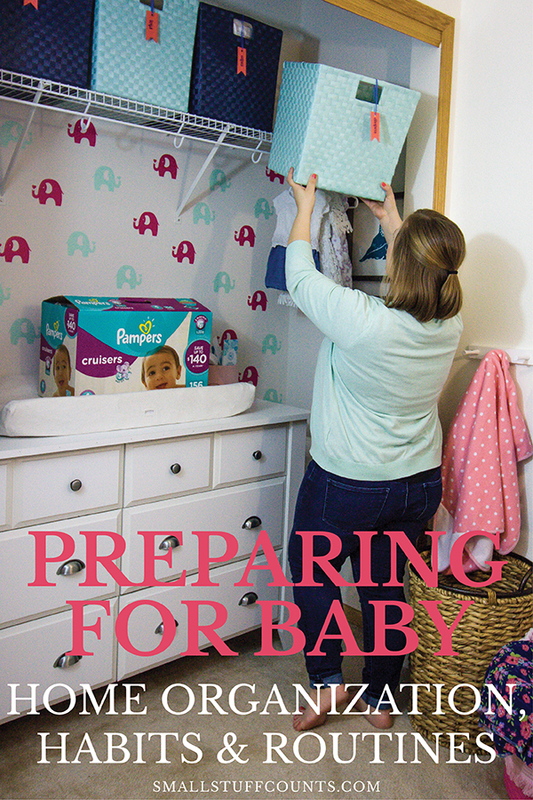 I hope these tips will help you prepare for baby to arrive! 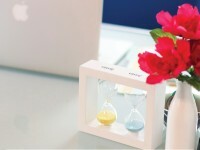 Organizing your house and taking some time to establish good habits and routines will pay off big time. If you have a baby on the way, I highly recommend a Sam’s Club membership. 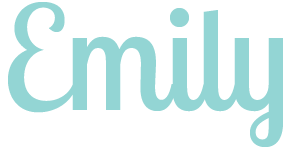 I was surprised at how affordable a membership is and loved stocking up on baby items, knowing they’re priced right. And it’s just plain smart to buy baby basics in bulk! I can get in and out of Sam’s Club with all of the baby essentials we need for a month in less than 15 minutes thanks to their Scan and Go app. I simply scan each item with my phone before I place them in the cart. I pay on my phone while standing in the baby section and simply show the receipt to the attendant at the exit. I absolutely love being able to skip the checkout line! Snag this free guide for more time-saving tips: 12 Ways To Automate Your To-Do List. This is a sponsored post written by me on behalf of Sam’s Club. All opinions are mine alone.